Today whilst clearing and reorganising our piles of books I came across a large hard back journal stuffed down the back of one of the shelves. As soon as I saw it I could feel my mouth go dry, my gut start to grumble with tension and my breath shallow in my chest. I had rediscovered my ‘Hospice Journal’. Observations, reflections and the pain of what I witnessed while living for 17 days at Marc’s bedside in a Glasgow hospice in 2004 supporting him to have his best death. Breathing is the most important habit we can have, yet when we are frightened, stressed out, spooked we forget to breathe properly. breathing badly becomes a habit. 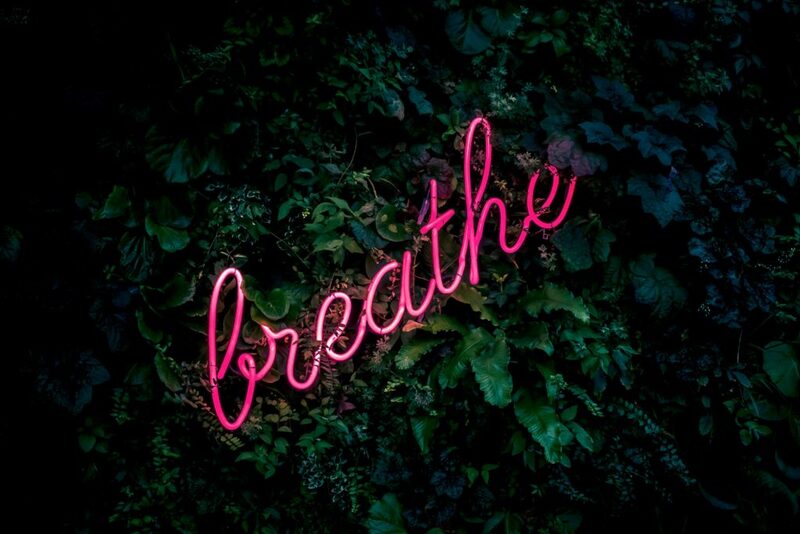 When we experience anxiety, worry, thinking too much, nerves or insomnia we can easily slip into creating a bad breathing habit. For example if your trigger is anxiety and your old routine creates shallow chest breathing, try practising a new routine of gut breathing. You may be rewarded with calm. Too much to do , old routine is panic , try 10 mindful breaths resulting in renewed focus. Get into the habit of breathing bravely and well ! Continue your own breathing bravely list…………. Remember the trick is to keep breathing!